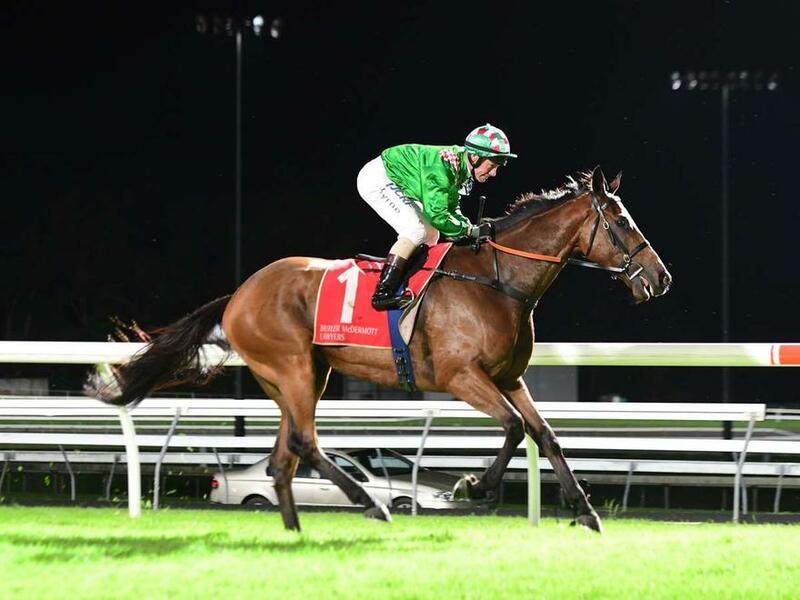 Talented four-year-old LUCKY JACKSON showed his versatility with an impressive first-up win over an unsuitable 1200m trip at the Sunshine Coast on Friday night. Settling at the rear of the field over the sprint trip, jockey Jim Byrne peeled LUCKY JACKSON out wide and came with a storming finish to score his third win from 12 starts. The win was particularly impressive considering the horse was resuming from a QLD Derby preparation, with his last win coming over 2200m at the Sunshine Coast in May. "It was a fantastic first-up win," said Trainer Chris Munce. "It was a distance well-short of his best but Jim Byrne rode him very well and gave him plenty of room to gallop. "When he got to the outside and he let down like a horse that I know he is. "It's an encouraging start to his preparation to say the least."